These are two variations of a classic wheat flour soda bread recipe. I think the slow rise breads you get with sourdough or bakers’ yeast are better but they take time to make. These are a quick bake if you want some bread for lunch or supper. I use a yoghurt & whey mix as I nearly always have these in when I make yoghurt cheese, but you can adapt by using a milk & water mix or buttermilk if you have it instead of the whey. I add caraway as I love the taste but you can experiment with other flavours using fresh or dried chopped herbs. Mix the yoghurt and whey together in jug or bowl. 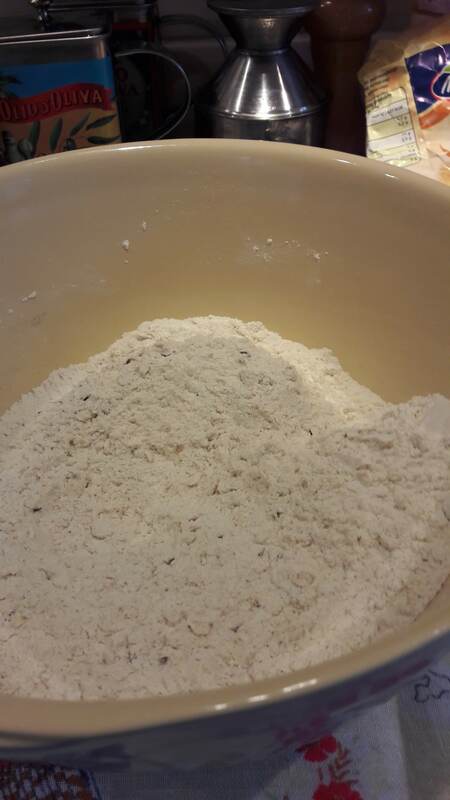 Add the yoghurt mixture to the dry ingredients and use a wooden spoon to mix it all together. Use your floured hands to bring it all into a soft dough ball. 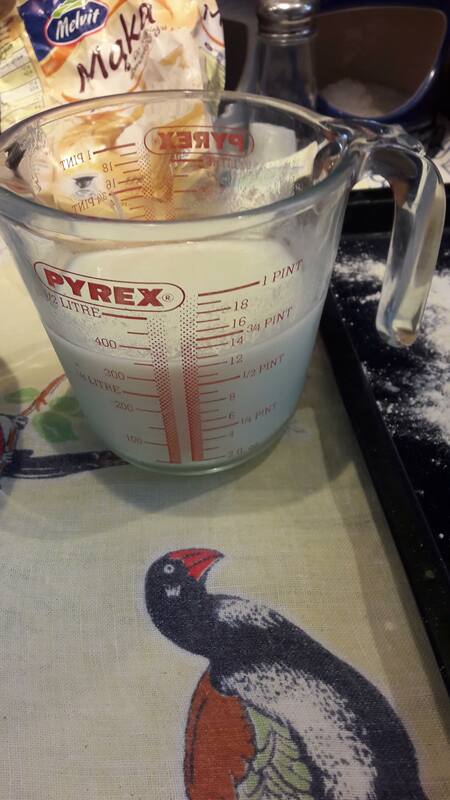 Place the ball onto the floured baking tray. Using a sharp large knife cut a cross or star on the surface. Bake for 5mins then turn the heat down to GM 6 – 200°C and bake for 30 – 35 minutes. The base should sound hollow when the bread is cooked . Soda bread does tend to go stale quickly but is is still delicious toasted and served with butter. Tea plates are Las Palmas by Aynsley from the 1960s.